The ICC 2019 World Cup is exactly 116 days away and teams across the world are trying to find their best combinations and the Indian cricket team is no exception to this. The ICC 2019 World Cup is exactly 116 days away. Teams across the world are trying various permutations and combinations to find their best XI and the Indian cricket team is no exception to this. With an emphatic 4-1 series win in New Zealand, Team India hit the right notes as the road to England gets narrower. The ODI series versus the Kiwis was supposed to be a perfect opportunity to test the bench strength and possibly find out the winning concoction and the victory at Westpac Stadium in Wellington possibly did just that. Batting continues to be the biggest strength for the Indian cricket team. Three of the best batsmen in the world comprise India’s top three – Rohit Sharma, Shikhar Dhawan, and Virat Kohli. But the problem that existed was if and when two of the three or all three fail on a given day, the Men in Blue flounder. But the issue is complicated than it looks. The chaos in the Indian middle order occurred primarily because of the lack of an anchor, finisher and juggling around with playing combination. While some may say that the Indian middle order hardly gets chance to prove its worth but a close look reveals that more often than not they tend to crumble under pressure when the opportunity arrives. Even on days when the top three have given a good start, the momentum is lost once they are back in the dugout. But as a team which wants to build up to a such a big tournament like a World Cup, games like the one in Wellington is what you want as it provides chances to iron out the deficiencies. 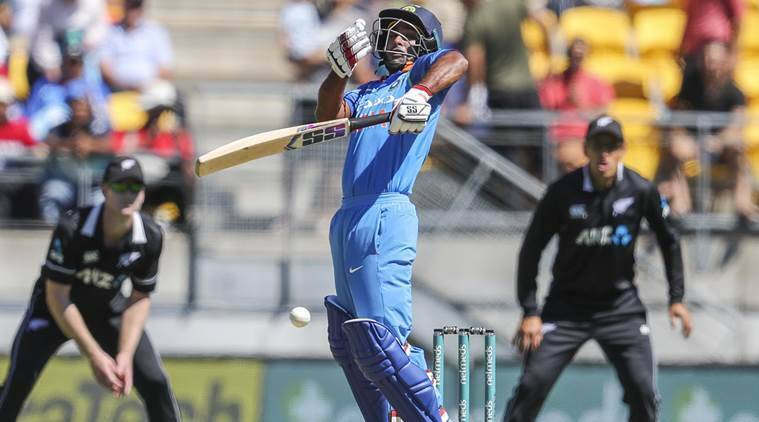 Ambati Rayudu’s 90 to help India recover from 18/4 and his knock seemed to have finally put to rest the conundrum of number four. This was probably the most important innings of his career as it gives him a ticket to the World cup. His effort gave India the platform from where the bowlers could get a launchpad to fight back. Another big plus for India in this match was that they played a bowler short and still got the opposition out. Normally Pandya is the fifth bowler and then comes Jadhav and the rest rolling their arm over. 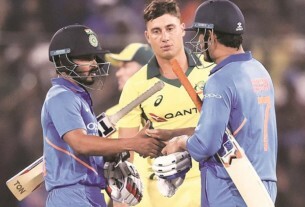 Pandya was the fourth today as Jadhav and Vijay Shankar played the role of the fifth bowler. Vijay Shankar has also presented a strong case for himself with a very good game. It was a high-quality innings he played with the bat (45 off 64 balls) and then bowled under five runs per over. The return of Pandya was another plus. Pandya’s cameo showed that India now has a presence in the middle who can take the innings through. Jadhav, who failed with the bat, reminded once again why he is a crucial fix in this puzzle as he bowled 7 overs and returned with 1/34. In terms of economy rate he was at par and also got a wicket – what more could you want from your fifth bowler? India requires a dynamic batsman in the middle and a quality extra bowling option. Jadhav can prove to be the solution to both the problems. 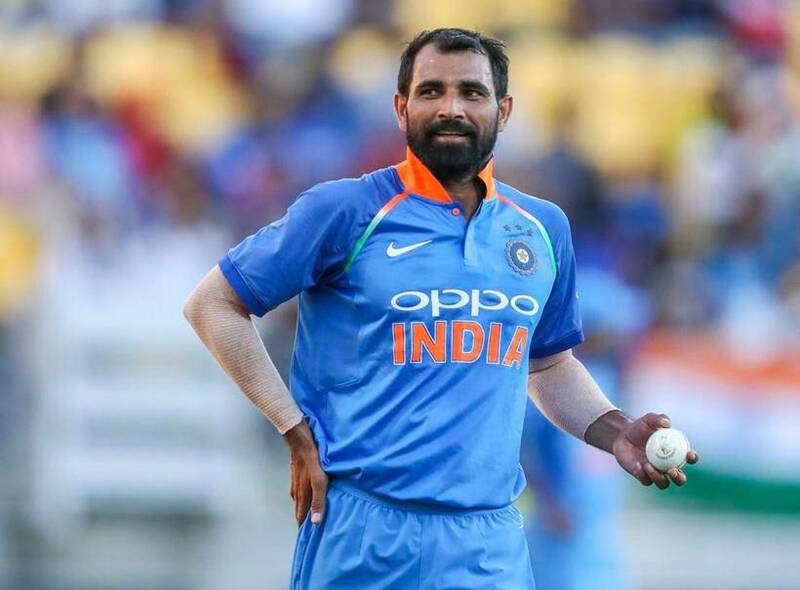 So looking back at the series, the form of Mohammed Shami was definitely one of the biggest gains for team India. In 2019 Shami has played 7 matches and picked up 14 wickets at an average of 20.64, an economy rate of 4. What he has also done well is take two wickets in first 10 overs to set the tone. This has happened consistently – 4 ODIs in New Zealand and three vs Australia. Hence, the arrival of Shami has been fantastic. But what happens when Bumrah comes back? Do India go batting light or India play one spinner? That is a matter of conjecture. But for now this Indian squad seems well set to board the plane to England and Wales in May.